This is ludicrous on so many levels. Who is really responsible for the death of Jesus? Isaiah 53:5 says, "But He was pierced through FOR OUR TRANSGRESSIONS, He was crushed FOR OUR INIQUITIES; the chastening FOR OUR WELL-BEING fell upon Him, and by His scourging we are healed." In John 10:17-18 Jesus Himself said, "I lay down My life that I may take it again. No one has taken it away from Me, but I lay it down on My own initiative." (JPost.com)—A Kenyan lawyer has filed a petition with the International Court of Justice (ICJ) in The Hague, suggesting that the trial and crucifixion of Jesus Christ was unlawful, and The State of Israel among others should be held responsible, Kenyan news outlet the Nairobian reported on Friday. 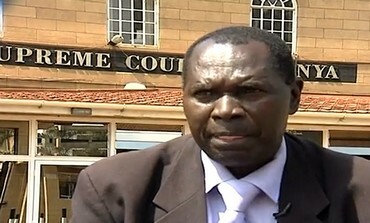 Dola Indidis, a lawyer and former spokesman of the Kenyan Judiciary is reportedly attempting to sue Tiberius (Emperor of Rome 42 BC-37 AD), Pontius Pilate, a selection of Jewish elders, King Herod, the Republic of Italy and the State of Israel. "Evidence today is on record in the bible, and you cannot discredit the bible," Indidis told Kenyan Citizen News . Yes, those he suggests should have been convicted during the original trial have not been alive for more than 2,000 years, however Indidis insists that the government for whom they acted can and should still be held responsible. "I filed the case because it’s my duty to uphold the dignity of Jesus and I have gone to the ICJ to seek justice for the man from Nazareth,” Indidid told the Nairobian . "His selective and malicious prosecution violated his human rights through judicial misconduct, abuse of office bias and prejudice."